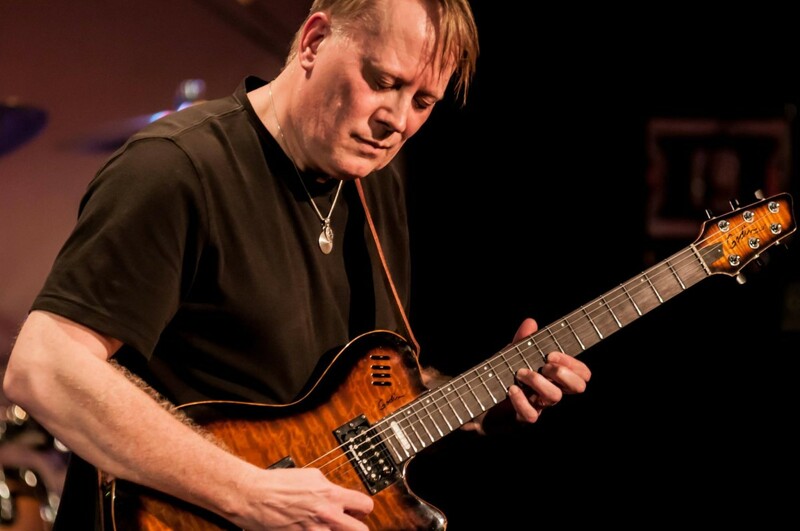 Peter Matuchniak favors a progressive style of guitar that features melodic solos and graceful chording, clearly influenced by the likes of Steve Hackett (Genesis), Dave Gilmour (Pink Floyd), Andy Latimer (Camel) and Mike Oldfield. Always drawn more to composition and melody above pure technique and over-indulgence, Peter Matuchniak lets sounds and textures guide the music first and foremost. His compositional style draws from the varied genres he was exposed to at home: a brother into jazz-rock, a sister listening to the latest radio hits, and parents who raised them all on classical music. But the basic element is always progressive rock, and Peter Matuchniak has played with a number of bands in this genre that have garnered attention and reviews, both in London where he grew up as well as in his adopted Southern California home. Peter Matuchniak is one of the busiest guys in music, he is working on various projects including Kinetic Element’s upcoming album The Face of Life, Peter has also released two studio solo albums a Live Digital Album and Digital Video, a DVD, as well as two albums with Gekko Projekt and Evolve IV , he performed on the latest Transport Aerian release, as well as recording two albums with Marco Ragni, and currently he is in the critically acclaimed US band Bomber Goggles. Peter has received enthusiastic reviews from around the world (the latter winning a Grindie Award from RadioINDY). Back in the 1980’s Peter was part of the so-called neo-progressive rock movement with Janysium and Mach One (that were represented by Keith Goodwin, press agent for Yes, Marillion and Rod Argent). He also wrote and recorded jingles in Bombay for commercials that were aired on Indian TV with high-profile artists and accounts, with one such ad winning a CLIO award for public safety.